BREAKING : App has just been approved by Apple! So what has been changed? 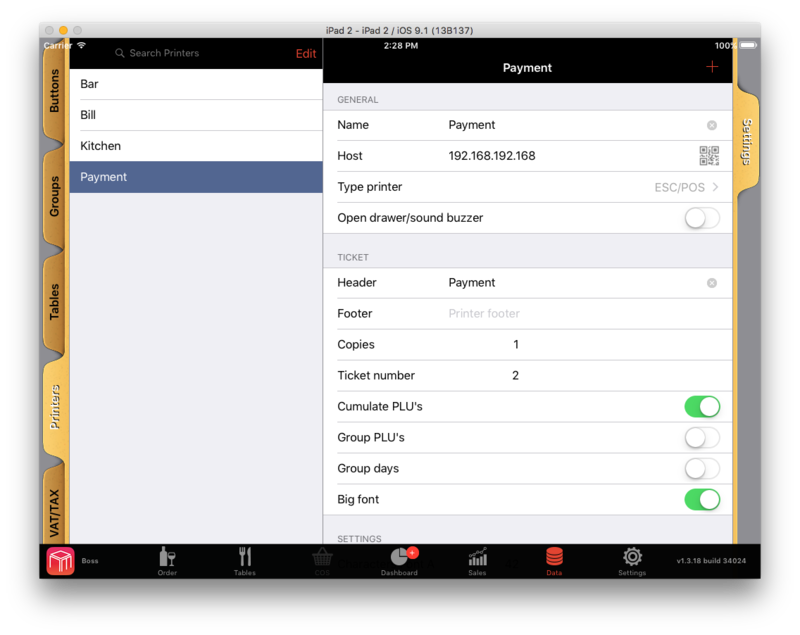 We have added a new configuration in WaiterOne, one who makes it possible to select a different logical printer to print out the payment tickets (VAT/TAX receipt). So instead of 3 logical printers we will have 4 logical printers now. This is of course only of you want to make a distinction between the pro forma ticket (bill printer) and the VAT/TAX receipt (payment printer). Select here the printer to be used for printing out the VAT/TAX receipt. This ticket will be printed as soon as the client has paid his bill. Why could you use this? Imagine if you don’t want a pro forma invoice but you do want a VAT/TAX receipt. Just set you bill printer to 0 copies and your payment printer to 1. Imagine if you want the VAT/TAX receipt to be printed on a different printer, one closer to you so you can control the payment a little bit more. Just select another physical printer, easy! WaiterOne 1.3.18 waiting for approval!